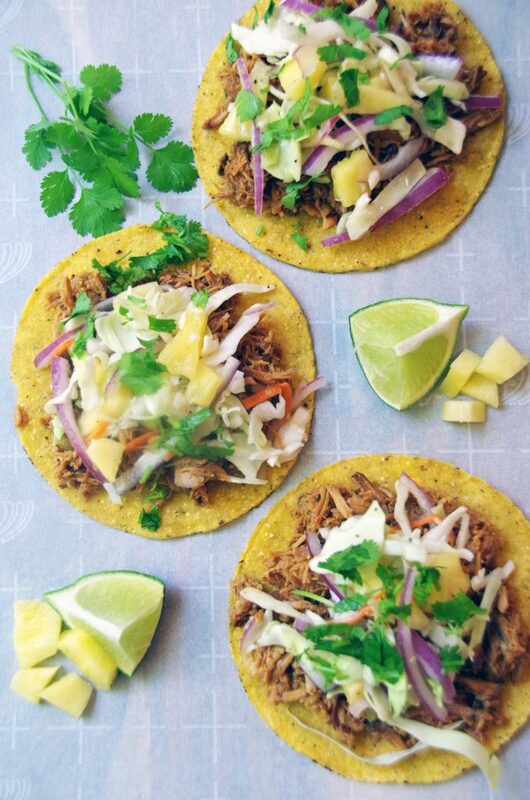 This pulled pork taco recipe has been sponsored but all opinions expressed here are my own. Having grown up in New England, I honestly never saw a taco until I moved down to Houston after college. Seriously, I never had one bite of Mexican food until I was in my twenties. Is that not crazy? Once I moved to Texas, however, I quickly learned to love all the flavors of Mexican cuisine. But, the same old recipes get old after a while right? 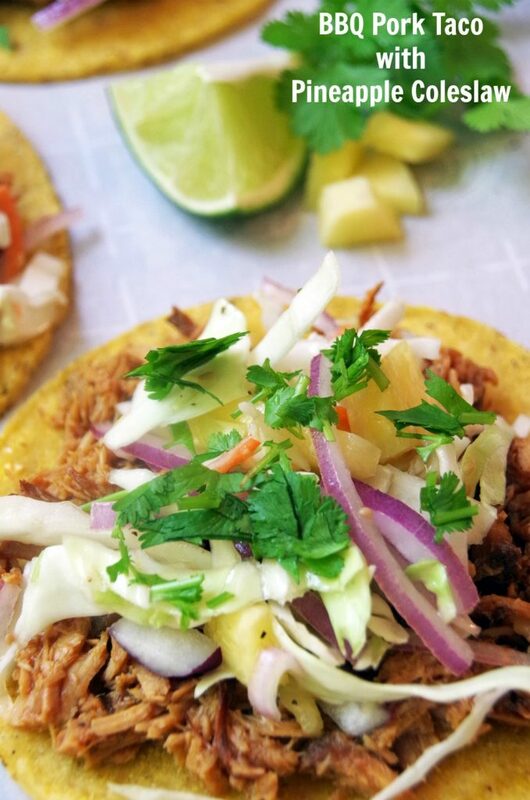 If you are planning a Cinco de Mayo celebration or are a fan of Taco Tuesday, try getting creative with your cuisine and make this pulled pork taco recipe. If you love pork recipes, try my teriyaki pork belly recipe, too! These BBQ pulled pork tacos are a delicious blend of Mexican, Texas BBQ, and Asian flavors all wrapped up in one delicious package. 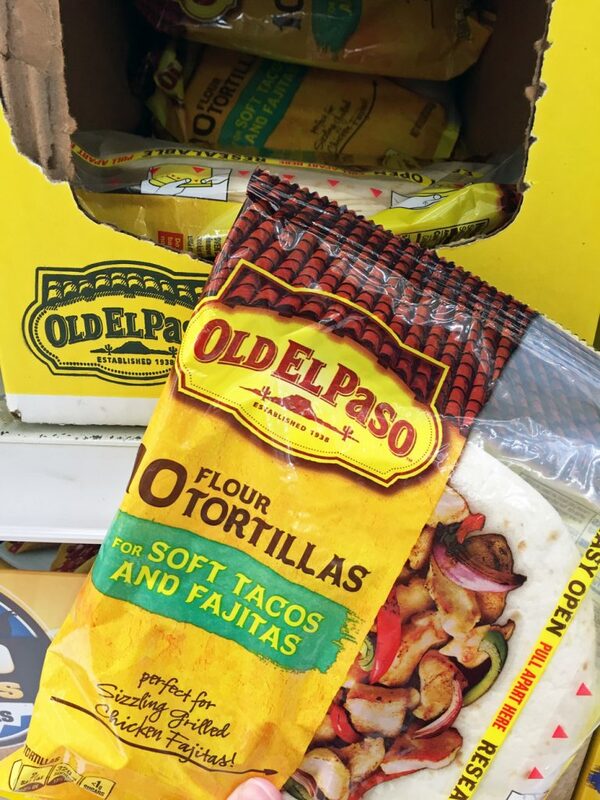 And with the wide variety of Old El Paso products to choose from, you can serve them as tacos, burritos, or in their new Taco Boat! I was honestly very impressed with the wide variety of products that they had available at Walmart this week. In my house, we always have the ‘hard versus soft’ argument when it comes to our Mexican food wrapper of choice. I love soft flour tortillas. They wrap things up nicely and don’t break when we bite into them. Hubby loves the crunchy shells. The kids are pretty flexible. I like to offer a selection when I can and just tell them all to put the filling in whatever they want! This is actually the first time I have tried a tostada shell. It is crunchy like a taco shell but flat like a tortilla. I actually found it easy to top, pick up and take a huge bite out of. No breaking at all! The filling was loaded high and this BBQ pulled pork taco was a delicious meal! 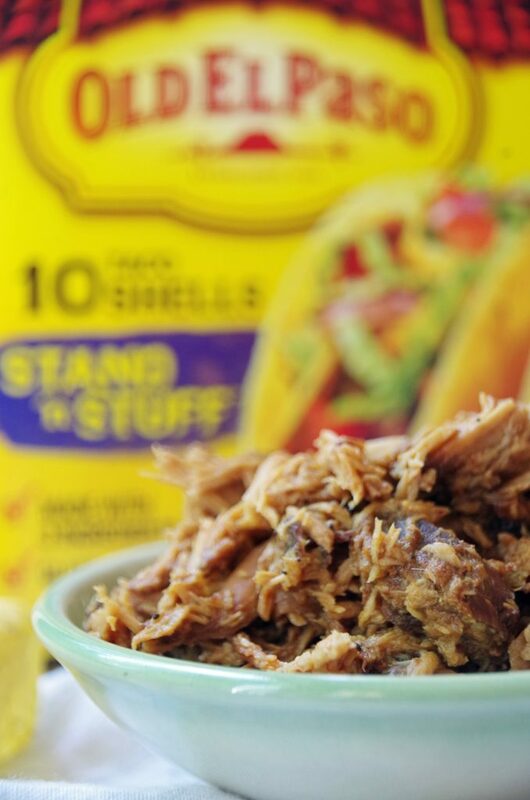 Pulled pork is an incredibly easy alternative to ground been for your taco filling. I make mine in my crockpot. Just put a boneless pork roast in the crockpot with a cup or so of your favorite BBQ sauce. Turn it on for 8 to 12 hours. I did mine overnight. The meat practically falls apart when it is done cooking. Just use two forks to shred it up and mix in more BBQ sauce and a little bit of the liquid from the crockpot. Easy and delicious! 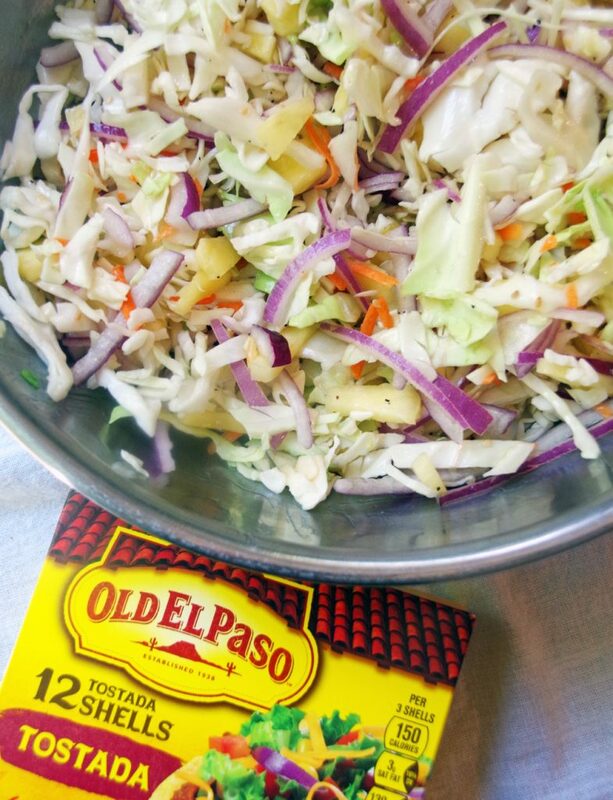 Topped with this simple pineapple coleslaw, it is a wonderful blending of flavors. To make this pineapple coleslaw, you only need a few simple ingredients. I used a package of coleslaw mix from the produce section. I thinly sliced the red onion and diced up fresh pineapple. Toss it all together with your favorite Asian salad dressing and you are done. Now, as the final touch on these BBQ pulled pork tacos, you can spritz them with just a hint of lime juice and add a bit of chopped cilantro. The tart lime and the sweet pineapple are a mouth watering combination. Of course, you can make both of these fillings up ahead of time so that at dinner time all you have to do is heat the BBQ and fill your taco. Or your tortilla, whichever your family prefers! 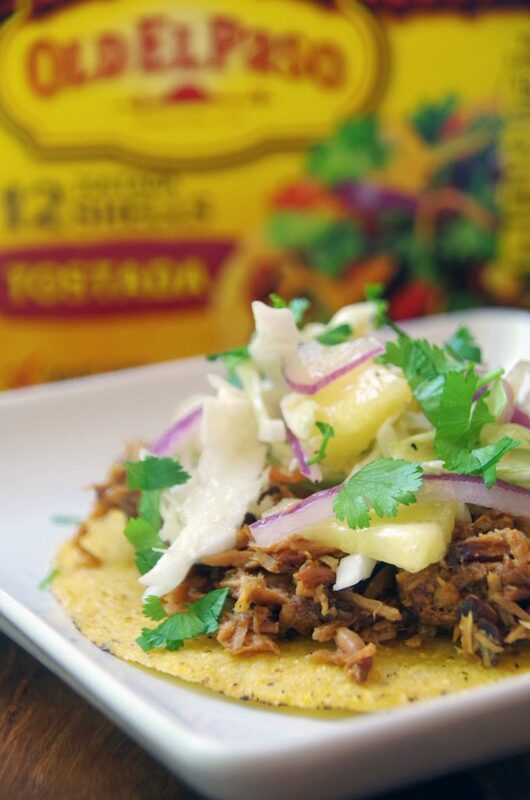 This recipe will make a LOT of BBQ pulled pork tacos. Seriously, you could feed your entire Cinco de Mayo party with the amount of pulled pork and pineapple coleslaw that I made. Of course, the pulled pork will freeze back quite nicely and the coleslaw makes a delicious side dish for the next night’s dinner. 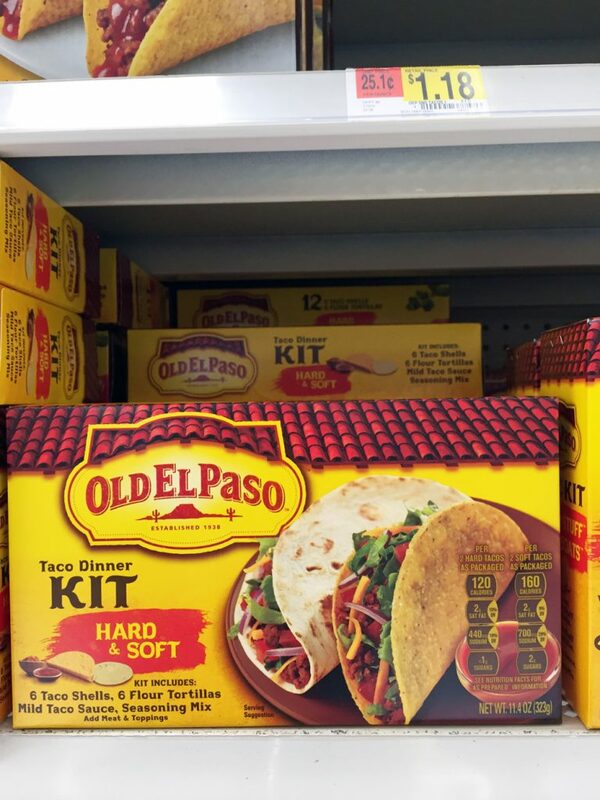 Or, just stock up on LOTS of Old El Paso products and serve up friends and family! Place the boneless pork roast in a crockpot over night with 1 cup of the BBQ sauce. The next day, remove the meat from the crockpot and shred with 2 corks. Mix in remaining BBQ sauce and/or liquid from the crockpot until it is the desired sauciness. Set aside. Make the coleslaw: Mix the coleslaw with the onion and pineapple. Stir in the Asian salad dressing. To serve, place meat and coleslaw on a taco shell. Sprinkle with cilantro and a spritz of lime if desired. 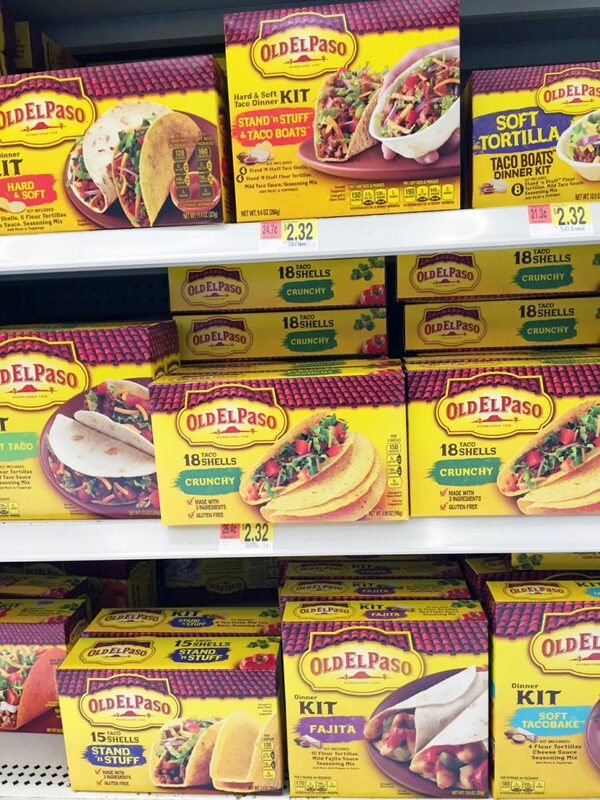 Have a family that loves both hard and soft taco shells? Old El Paso has a solution for that, too! Check out their combination package or why not give their taco boats a try!